This post has absolutely nothing to do with wine, but it shares a bit about me! I have lived in Illinois most of my life. 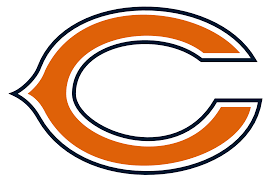 As a young girl I quickly became a “fan” of the Chicago Cubs and the Chicago Bears. My grandmother was a BIG Cubs fan. I used to go to her house with my older brother in the summer. On Ladies’ Day we would take the “L” into Chicago to go to the game. As I grew up I watched many a game on TV but I hadn’t been back to Wrigley in many years. 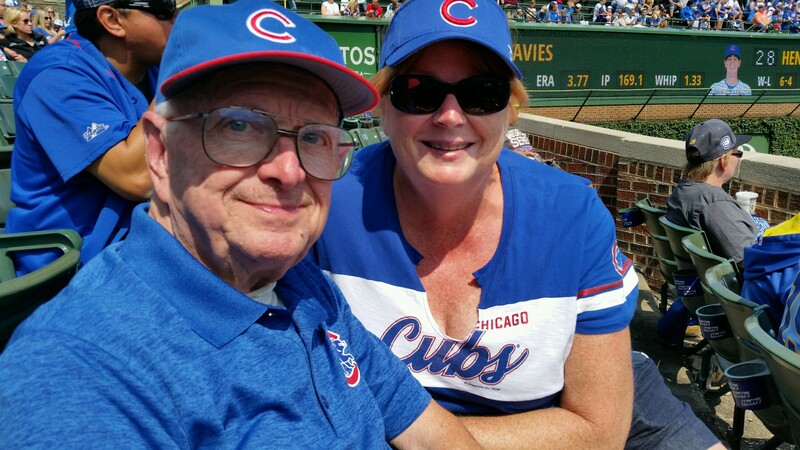 My husband and I took my Dad, another Cubs/ Bears lifetime fan, to a game against the Brewers back in September. The day was beautiful, the results not so great…we lost. Next year we will try to get there more often and hopefully they will win. We did win the WORLD SERIES 2016 and are on the way to that event this year…just have to get past the Dodgers and their bullpen! BELIEVE!!!! Go CUBS go!!! One of my best memories growing up was spending Sunday afternoons watching football on TV with my Dad. I had never been to an actual game until 2 years ago. Lance Briggs gave my niece tickets and she took me to my 1st live game in Soldier Field!! Thank you Amber!!! 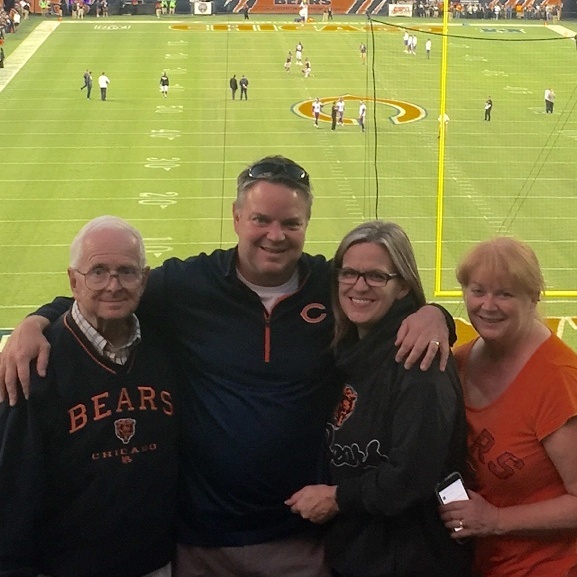 This past week, my youngest brother, his wife, and our dad attended the Monday night Bears-Vikings game. What a great night! The pregame activities, the game- even though we lost (am I a jinx?? LOL)- made for another memory to store away. 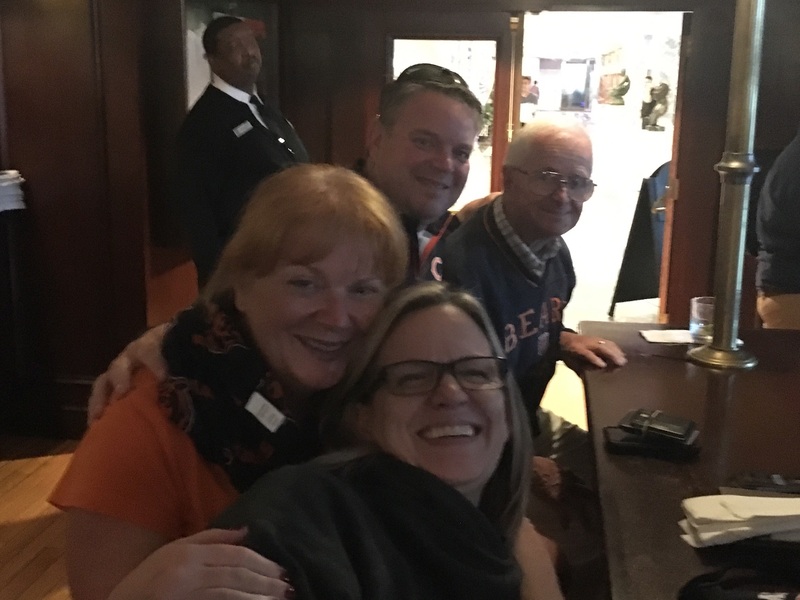 My husband and I will be heading back to Soldier Field in November with our good friends to watch the Bears play the Packers. We typically “tailgate” in their garage to watch them play- Cindy is the only Packers fan- but this years we decided to actually attend the game. Can’t wait. Hoping for a Bears victory!!! 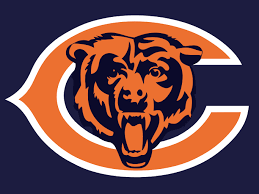 Bear Down!!!! This entry was posted in #Chicago Bears, #Chicago Cubs and tagged #Lance Briggs, #Soldier Field, #Wrigley Field. Bookmark the permalink.